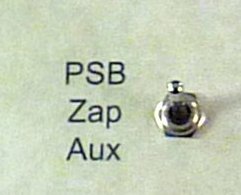 The Aux function is selected through using the 3 way switch, and by selecting “Aux”. What is the Aux function? The Aux function will allow you to connect your computer to the Photon Sound Beam Complete, and to send frequencies from your computer via your computer’s headphone outlet to the Photon Sound Beam Complete, which are then delivered to the plasma tubes and RF unit to the patient. Through using the Aux function, you can effectively turn the Photon Sound Beam Complete into a Rife Machine. Why cant we just use speakers to deliver frequencies into the body? There are a number of very good software programs out there that use sets of preprogrammed frequencies for dealing with specific diseases. They can however normally only deliver the frequencies via speakers. Using speakers to deliver the frequencies is ineffective, and when it comes to bodily organs, only the lower frequencies are going to get there with higher frequencies being absorbed by the skin. Turn some music on and after a few seconds, then cover your ears with your hands and what do you hear? With a few centimeters of flesh cover your ears you only hear the lower sound frequencies (deeper bass musical notes), and no high frequencies (high treble notes) get through. In this experiment the sound is started in an air medium, and it is then travelling to another medium of greater density, that is your hand. How sound behaves in travelling from one medium to another is explained in a well written article titled The Obstruction of Sound. In that article it explains that the lower frequencies (which are larger than your body) pass through your hand but the higher frequencies (smaller than your body) are in fact absorbed and converted into heat on the surface of your hand (even though they do not produce a noticeable warming effect). In addition to this, because the ratio of acoustic characteristic impedance of air to that of water is about 1/3600, only a little energy generated by an airborne source could transmit into your body (click here for more explanation). We therefore have a problem when trying to direct frequencies into the body using speakers alone as we are going from one medium and into another. Some Rife software manufacturers are wrong in suggesting that we can use speakers alone, as the physics simply does not work. The Aux function – the Solution to effectively Delivering ALL Frequencies into the Body. The solution to having a better delivery system than speakers is to use the plasma tubes and the RF Probe. With the 3 deep tissue penetration frequencies you are going to get a far better delivery system with the Rife Frequencies penetrating deeper into the body, far more effective than any other Rife Machine built. The only limitation you will have is the frequency range limitations of your computer’s sound card, which is well worth investigating. Typically they extend their range to 192KHz which is well beyond the range of a speaker, where the limitation is often 20KHz or lower. 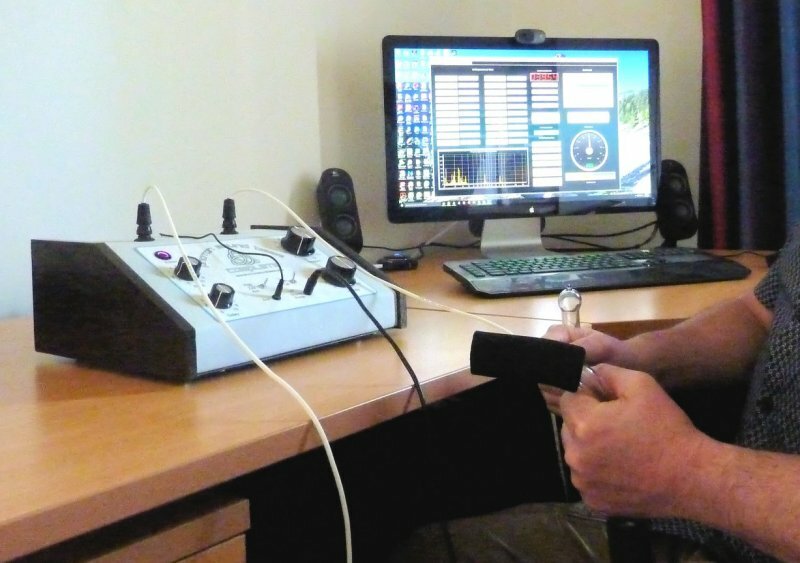 The picture below shows the Life Frequencies Pro software system connected to the Photon Sound Beam Complete, and the patient doing a timed session hanging onto the plasma tubes with the RF probe behind his back. The Life Frequencies Pro software is recommended as the preferred software for converting the Photon Sound Beam Complete into a powerful Rife Machine. You can read about Life Frequencies Pro by clicking here. Other effective software programs include the Sirius Software available through Natures Energies. You can read more about Rife Machines at Natures Energies by clicking here. Copyright © 2019 Natures Energies Health Products. All Rights Reserved.